Meet Darius. 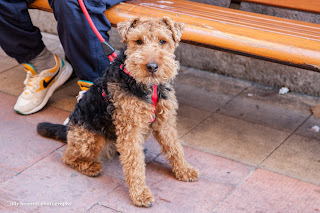 He's a 4 year old Welsh Terrier from Normandy, on holiday in Menton. Welsh Terriers are incredibly active dogs - it took about 8 photos to get one where he sat still for a moment. Typical of this beautiful breed. Oh he is just so hugable !!! 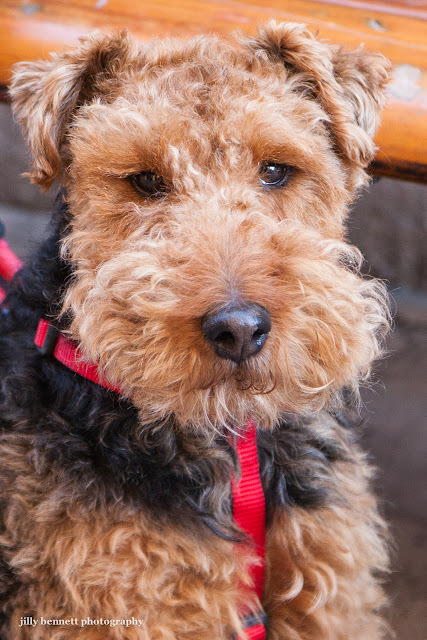 He is looking right into the camera. You got his attention. Great photo.